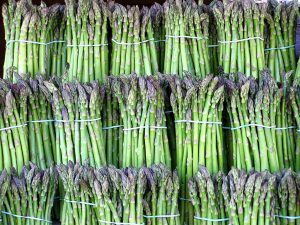 Asparagine helps cancer cells evolve and spread to other organs to grow into new tumors. Malignant tumors outside of the breast tissue, like those found in the bones, lungs and brain, is the number one cause of death in people with breast cancer. Records of former breast cancer patients who died of the disease showed that those with multiple other tumors outside of the breast area also had the highest levels of asparagine. Asparagine is also found in beef, dairy, eggs, fish, legumes, nuts, potatoes, poultry, seafood, seeds, soy, whey, and whole grains. The study, conducted at the Cancer Research UK Cambridge Institute, took place on mice with an aggressive form of breast cancer. Normally they would die in a couple of weeks as the tumor spread throughout the body. The study found that when a diet light in asparagine was introduced to the animals, the number of malignant tumors outside of the breast tissue decreased dramatically. Low-asparagine foods include most other fruits and vegetables. Hannon said, “The study results are extremely suggestive that changes in diet might impact both how an individual responds to primary therapy and their chances of lethal disease spreading later in life.” These findings still need to be confirmed in people. Moving forward, researchers would like to test if a low-asparagine diet reduces asparagine levels in healthy patients, then see if the method would also work in cancer patients. The research team was also able to block asparagine in the mice via a drug called L-asparaginase. This indicates that L-asparaginase drug therapy may be useful in the future for breast cancer treatment as an addition to traditional treatments like chemotherapy and radiation. L-asparaginase is already used to treat acute lymphoblastic leukemia, a type of cancer that affects the bone marrow and production of white blood cells.